INVESTIGATORS from the Environmental Protection Agency (EPA) have found fundamental weaknesses in a major US air pollution control programme that may have allowed many "significant violators" of the federal and state regulations to escape inspections and sanctions for years. According to the EPA's Office of inspector general, these lapses occurred in the programme that monitors factories, utilities and stationary sources of pollution in the US. The programme, started in 1970 under the Clean Air Act, is one of the nation's most complex and far-reaching environmental regulation efforts. According to EPA, millions of air pollutants, moving with the nation's weather patterns, cause as many as 3,000 Cancer-related deaths in the US each year, along with numerous other ailments, Lack of oversight on the sources of this pollution exacerbates the problem. "It is my belief that one of the biggest problems in the EPA is accountability," said Nikki L Tinsley, the agency's inspector general. She said her office's seven audits found that the EPA did not have adequate records of the nation's major air polluters. "Without that baseline data, you do not have a foundation for the programme," she said. The audits, conducted in different areas of the country, show that for several years, state environmental agencies substantially underreported local Clean Air Act violations. Under the law, states are paid more than US $160 million every year to conduct inspections and enforce federal air standards. In 3,300 inspection files, states reported 18 "significant" violations. Tinsley's auditors, reviewing the same cases, found 103. For example, the audit on Pennsylvania notes that of the 270 emission sources reviewed, 64 were significant violators that had gone unreported. 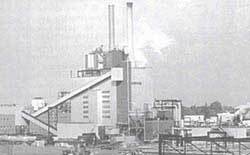 Asked about a polluting adhesives plant that exceeded federal guidelines for 13 years, James M Seif, secretary to Pennsylvania's department of environmental protection who until 1989 headed the EPA region that oversees Pennsylvania, admitted that "there might be a legitimate complaint about the pace of things". Asked about the audits, Sylvia Lowrance, who heads the EPA's enforcement and compliance-assurance office, said: "We found a whole series of problems. Frequently, the states were not fulfilling their inspection commitments". According to the EPA audits, those that did inspect frequently did not log violations into the EPA'S national database that is used to track air-quality problems. The auditors put some of the blame on a reorganisation of EPA in 1994 that separated the enforcement branch from that which provides money to the states. That has left federal enforcement officials with little leverage to push states into compliance. William Becker, who heads the Washington-based State and Territorial Air Pollution Program Administrators' Association, blamed EPA's 10 regional offices, which, he said, were making an "inconsistent application of the programme" in their dealings with States. EPA estimates that billions of toxic air pollutants are emitted every year in the US. Exposure to some of these pollutants, according to agency studies, can cause cancer, lung illness and retardation and brain damage, especially in children.